The development of radio in the late-19th-century revolutionized the ways in which people communicated both domestically and internationally. From military technology to pop-culture broadcasts, radio quickly ascended as the most effective means of official communications throughout the early 20th-century. But millions found that this new invention could also be used for casual recreation, creating what is known today as amateur radio. While radio communication has been largely displaced by newer technologies, Amateur Radio (often called Ham Radio) remains a popular and useful hobby for operators worldwide. Here we’ve listed the top reasons everyone should be a Ham Radio operator in the 21st-century. Ham Radio is one of the original social networks. One of the main attractions of Amateur Radio is communication – by possessing a Ham Radio license, operators also possess a means to communicate for free with a large international community. Operators regularly tune into radio frequencies to get on “the net,” the colloquial term for a space where users gather to talk with one another. Though many nets exist for general communication, others are dedicated to more specific purposes, like discussing common interests, or relaying important messages. After they’ve finished talking with one another, operators will frequently send each other a “QSL card,” a written confirmation of their communication over the airwaves. Many operators have collections of QSL cards they’ve received, often from international destinations. Amateur Radio operators have even tracked communication with astronauts from the International Space Station, which shows just how far the reach of radio communication can extend. Being an amateur radio operator is a good way to provide community service. While casual communication is one of the first things that attracts people to Ham Radio, operators also serve a larger purpose – in times of crisis, many modern technologies for communication fail. When this happens, radio channels are frequently used to communicate critical information to help those in need, and Ham operators will work to help with these communications. Operators also work with public service agencies when necessary, assisting in relief efforts during natural disasters or other crises. As such, Amateur Radio provides interested operators a meaningful way of volunteering. Amateur radio offers a chance to learn new technological skills. Even though Ham Radio emerged from the earliest radio technology, the hobby has modernly embraced the advancements of the digital age. Amateur Radio operators often experiment with electronics, and many Hams choose to communicate over high-frequency digital bands. Radios can also be combined with computers and other technologies to send data or text over a radio frequency. Ham Radio also offers a chance for operators to learn Morse code, which remains a popular skill within the community. Ham Radio gives operators competitive experiences outside of the everyday. From speaking with astronauts to learning Morse code, Ham Radio presents unique experiences to its operators. In addition to communication, public service, and learning opportunities, Amateur Radio has also taken on a more competitive tone since the late 20th-century, with the inception of “radiosport,” or Amateur Radio contesting. During these competitions, Ham operators (often associated with a station or Amateur Radio club) attempt to contact as many operators or stations as possible within a certain time frame. In the United States and Canada, one of the most well-known Amateur Radio competitions is Field Day, where Ham Radio stations demonstrate the versatility of radio technology, and attempt to contact as many stations as possible while operating in unique outdoor conditions. Similar competitions happen internationally too, giving the pastime a more competitive appeal. Are you interested in becoming a Ham Radio operator? 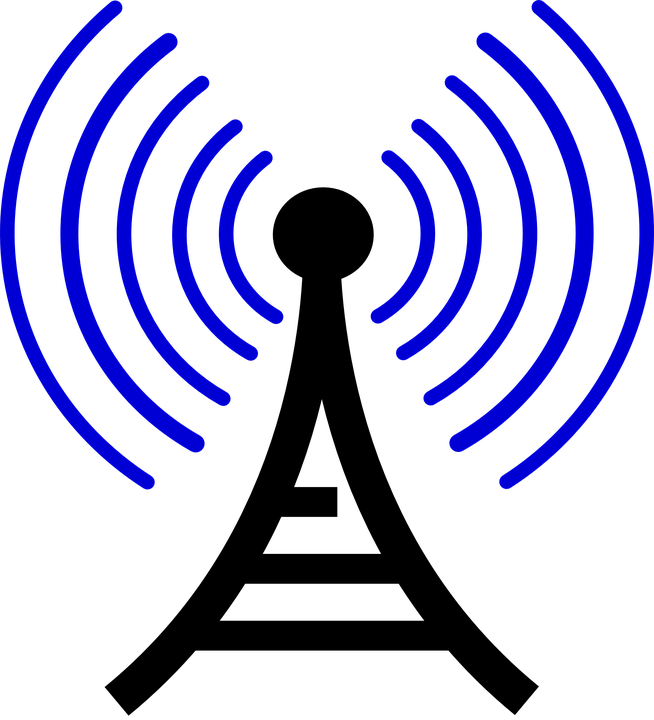 Check out the American Radio Relay League’s website for more information on the types of licenses available, where to take a licensing exam, and other information on how to get started in Amateur Radio! For more information on radio and its influence on American culture, consider our various broadcasting titles to learn more about how radio has helped shape the culture of American cities. Are you a Ham Radio operator, or do you know one? Think we missed any advantages of holding an Amateur Radio license? Let us know in the comments below!